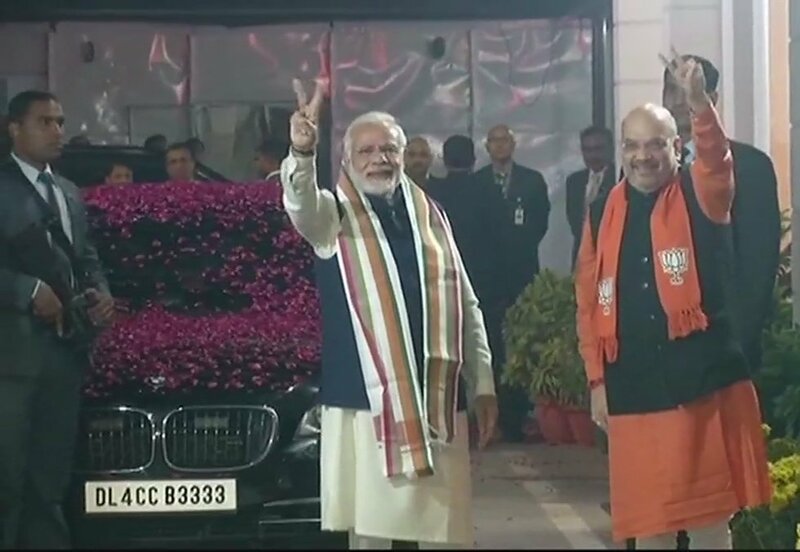 New Delhi, Dec 19: The BJP which romped to power in Himachal Pradesh by trouncing the Congress saw a jump of about 10 per cent in its vote share as compared to the the last Assembly polls in the state in 2012. Taking a dig at the BJP, Congress communications in- charge Randeep Surjewala said, "Is is not clear whether the BJP Parliamentary Board under a conspiracy defeated him by sending him to Sujanpur so that a person of choice could be imposed in the state." "It is not a good sign at least in the 'Dev bhoomi' of Himachal Pradesh," the Congress leader said.